The Rangers traded center Derek Stepan and backup goaltender Antti Raanta to the Arizona Coyotes Friday afternoon, in exchange for defenseman Anthony DeAngelo and Arizona’s 1st round pick in tonight’s NHL Draft, the 7th overall selection. Stepan recorded 17 goals and 38 assists in 81 games during the 2016-17 season. Raanta was 16-8-2 with 4 shutouts in 30 games in 2016-17. He had a GAA of 2.26. DeAngelo had 5 goals and 9 assists in 39 games for the Coyotes in 2016-17. 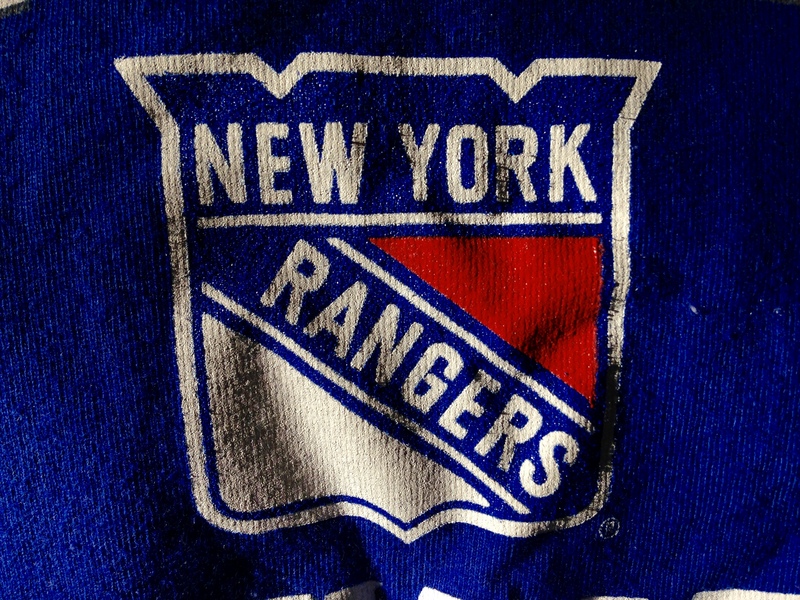 The move frees up a lot of salary cap space for the Rangers. Stepan had four years remaining on a contract that paid him $6.5 million a season – and a no-trade clause in his contract that kicked in July 1st for the remainder of his contract. Raanta had one year remaining at $1 million/season. [DeAngelo has two years left on a deal at $863,333 per year]. Add to that the expansion draft loss of Oscar Lindberg, the buyout of Dan Girardi‘s contract, and the possible/rumored/expected? retirement of Kevin Klein. That being said, the 20-man roster that finished the 2016-17 has several holes to fill. 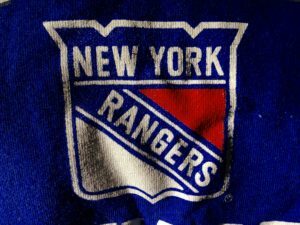 Rangers center Oscar Lindberg was chosen by the Vegas Golden Knights Wednesday in the NHL expansion draft. The 25-year-old Lindberg played two seasons with the Blueshirts, scoring 28 points in 68 games in 2015-16 [including four goals in the team’s first 3 games that season] and scored 20 points in 65 games in 2016-17, after recovering from hip surgery in the summer of 2016. Lindberg scored three goal in the 2017 post-season, all in the 2nd round series against Ottawa, including a pair of goals in a Game 4 win. The NHL released the protected players lists from the 30 teams Sunday, prior to the Expansion Draft to fill out the Vegas Golden Knights, and the list of players that the Rangers have protected is not a surprise. The Blueshirts protected forwards Kevin Hayes, Chris Kreider, J.T. Miller, Rick Nash, Derek Stepan, Mats Zuccarello, and Mika Zibanejad, defensemen Nick Holden, Ryan McDonagh and Marc Staal, and goaltender Henrik Lundqvist. Jimmy Vesey, Pavel Buchnevich and Brady Skjei were exempt. Among the names left “unprotected”: forwards Jesper Fast, Michael Grabner, Oscar Lindberg, and goaltender Antti Raanta. Each team will ‘lose’ one player to the Golden Knights. The Rangers announced Wednesday that they will buy out the remainder of Dan Girardi‘s contact. The veteran defenseman had three years remaining on a 6-year, $33 million dollar contract. Girardi spent 11 years with the team. The Blueshirts will still be paying Girardi for six more seasons; $2.61 million in 2017-18, $3.61 million in 2018-19 and 2019-20, and then $1.11 million from 2020-21 through 2022-23. The Rangers announced Wednesday morning that they had signed forward Matt Puempel to a new contract. The Blueshirts now meet the NHL’s expansion draft exposure requirements. Puempel scored 6 goals and 3 assists in 27 games with the team in 2016-17. Jesper Fast underway successful surgery on his left hip Monday, and will be out of action for five months. The winger scored 6 goals and 15 assists in 68 games during the 2016-17 season. He added 3 goals and 3 assists in 12 playoff games. The 25-year-old Fast is a restricted free agent.